When I hear Casio, the first things I think of are calculators, G-Shock watches a nd musical instruments. Obviously, since I am working on the educational side of Casio, I have been focused on the calculators, and really learning about how they work and researching ways they support mathematics education. I just recently obtained my own Baby G-Shock watch and am still exploring all the features of this (and fighting off my daughters’ attempt to “procure” my watch!) I’ve yet to explore the musical instruments, but can tell you that my youngest daughter is campaigning for a Casio Synthesizer under the Christmas tree this year! In my own hands-on learning, I have expanded my appreciation of the Casio calculators. I’ve been have a great time making videos about how the calculators work and exploring the different features of each. As a former TI-calculator user, I am coming to understand the differences between the two and experience how much easier it is for me to work with the Casio and remember things. 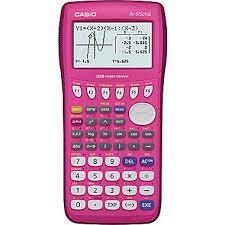 Granted, I am still learning and comparing, but like many teachers I have talked to and worked with, once you try Casio you want to stick with it over the TI. Which explains why Casio is trying to get new users and converts to show their new-found love for Casio calculators and reward them for doing so. If you haven’t heard of the Casio Testimonial Contest, you definitely need to check it out. Simply by writing a review about one of Casio Calculators at ShopCasio.com (click a calculator and then click “write a review”), taking a screen shot of your review, and then posting it on Twitter (@casioprizm #CasioEduTestimonial #entry) you are entered into the 12-week giveaway for a Casio G-Shock watch. 12 winners possible, so that’s pretty easy stuff for a simple review. The G-Shock Premium has Wave Ceptor Radio-Controlled Technology which means it receives regular signals from atomic clocks all over the world so it will only be out by one second every three million years. There are more obviously – (you can click the links provided to get more information). 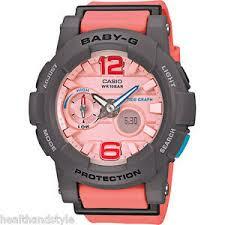 For me, I am still just trying to figure out what all the buttons on my Baby G do, but that’s half the fun, isn’t it? Figuring out what calculators and watches can do to support what you need. We’d love to hear how you are using your calculators to meet your learning needs and maybe that will G-Shock you! Contest runs until January 30, so Review. Submit. Win! I have been having such a great time playing around with the Dynamic Graphs on Prizm that I wanted to share how to do this for those of you who haven’t yet explored this feature. You can actually do Dynamic Graphs on all our graphing calculators, but the added feature of color with the Prizm makes it even more powerful. Why Dynamic Graphs? As a Sketchpad enthusiast, I always tried to use dynamic sketches to help my students visualize mathematics, from geometric shapes to graphs. Dynamic mathematics allows students to make conjectures and quickly test them out and see how changing parameters (lengths, angle measures, coefficients in equations, etc.) impacts the shape/function. It allows for a deeper understanding of mathematics and provides a visual, which is very powerful. Having that capability on a graphing calculator, which is a technology tool that a majority of high school students have access to (as opposed to computers/tablets where Sketchpad might be available), allows more students to work with dynamic mathematics. 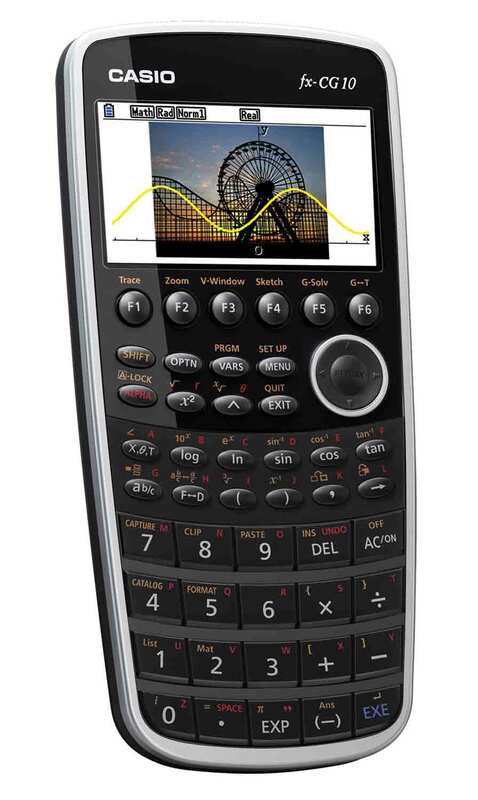 The Dynamic Graphs feature on Casio graphing calculators provides that ability, and the Prizm allows for the added color feature, which makes things like comparing dynamic graphs to their parent function easy to do, providing visuals to make deeper connections. Here is a video I made using the parent sin function and using both the modify graph feature and the Dynamic Graph feature to explore how the coefficients in the standard form Asin(Bx +C) effect the graph, allowing students to visually see how these coefficients change the amplitude, period and phase shift of the sin function. Students brought in their own pumpkins (big, small, etc.) and we measured circumference & diameter (as close as we could get) to determine if the relationship was pi, as we conjectured. Weighing the pumpkins and measuring height/circumference and trying to determine if you could predict the weight of a pumpkin simply by knowing it’s height & circumference. Collect classroom data on foods each student eats at Thanksgiving and create a bar graph showing the different foods frequency. Have students calculate the typical cost of their own families Thanksgiving meal (this requires research on cost of each item, number of servings for their family, etc. – interesting data), and then do a box-and-whisker plot of all the classroom data to compare. I never did this one, due to the mess, but I had teacher friends who actually weighed the pumpkin, then opened them up and counted the seeds to determine if there was a relationship. Probably best to only do this with a couple pumpkins! Save one for making a conjecture and testing at the end. There are obviously many ideas and sources of data, but the key for all of this is to get students collecting data, looking for relationships, making conjectures and predictions, and using mathematics. Calculators are very handy here, especially ones that allow students to record the data in lists and graph the results. You can have some students recording the data on paper, others on the calculator. In my search for data, I ran across some interesting sites that might be useful to teachers wanting to make some real-world connections on this Thanksgiving holiday. I’ve listed a brief description below and then the link. The Price of Thanksgiving DataSet from TuvaLabs This is a dataset and activity that can be downloaded in Excel and used with students. If you have never checked out TuvaLabs, do so – its free for teachers and has amazing datasets and lesson activities. Thanksgiving Statistics – interesting statistics from food to towns named Plymouth. Thanksgiving by the numbers: Just one of many sites with more statistics about food – includes recipes! If you do your own searches, you will find a lot of ready-to-use lessons and ideas. The thing to remember is it’s a lot more fun for students if they are the ones collecting the data and making the connections. Communication, mathematical discourse, and application are the key. 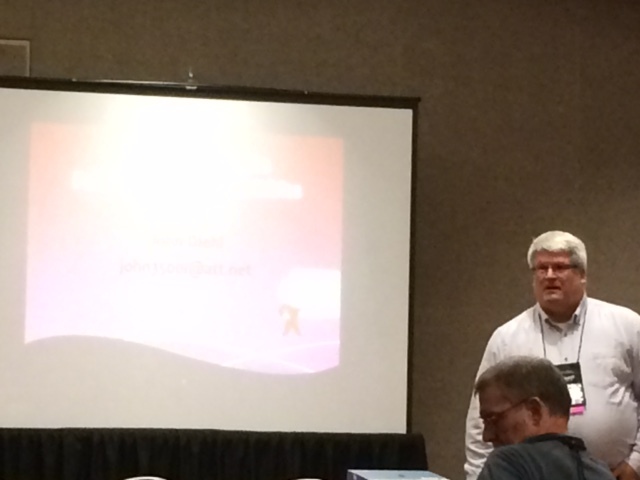 In my last post, I mentioned attending a session presented by Jennifer N. Morris on making math meaningful. 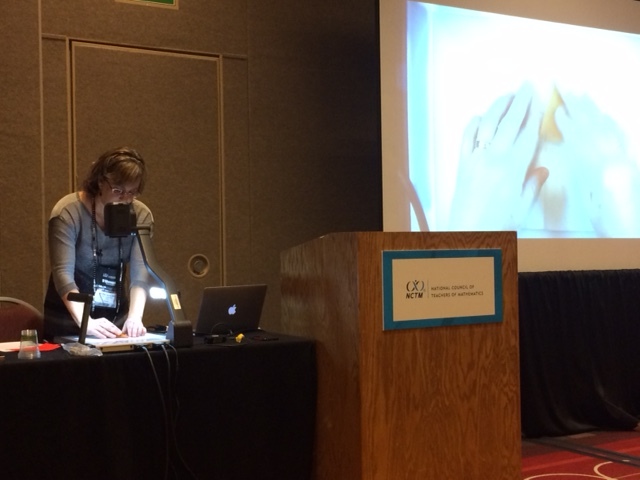 (She is presenting two times at #NCTMRegionals Nashville – Session #244 for 9-12 and Session #275 for 3-5, which is the Origami/Fraction/Random Number session – BE SURE TO CHECK HER OUT – She is AWESOME!). One of the activities in her session incorporated the fx-55plus calculator and using the random number generator to spark engagement, problem-solving, numerical thinking and communication with students. Simply by hitting the random # key, which creates infinite random fractions (many complex!) and have students (participants) determine if that random number was acceptable if it represented the part of a cookie they would receive led to amazing thinking. What is acceptable? What are target fractions? How are students making their estimates and decisions? How do you know yours is bigger or smaller than the person next to you? Participants were asked to line themselves up in order, least to greatest, using their random fraction, which sparked great discussion and comparison. They checked their lineup by converting the fraction very quickly to a decimal, so equivalency and number sense. Use Random Integer to simulate the roll of a die for data collection (you could use two calculators to simulate two die). 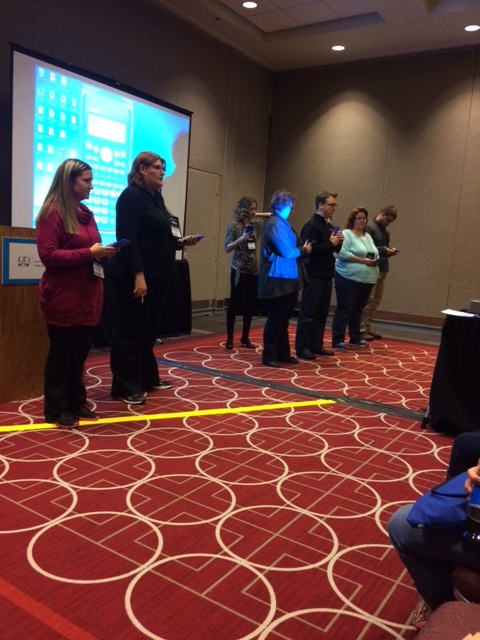 Had a nice time in Minneapolis these past two days at the #NCTMRegional. It must get ridiculously cold here in the winter since they built an entire interconnected-Skywalk throughout the city. I think I only went outside twice the entire time I was here – getting in and out of the taxi! (Which was pretty terrific as the first two days were rainy). I went to a few sessions this time that really got me thinking about the importance of questioning in mathematics. Even when utilizing technology or hands-on manipulatives/resources, the questions we ask the students are vital in order to deepen their understanding and encourage discourse and exploration. Questioning to me is the most important skill a teacher can develop to help their students – more important than any resources or technology that might be available, because it is only through questioning that we foster rigor and develop deeper thinking to help students understand and make connections in mathematics. what fraction you had of a whole and is just being more than 1/2 enough. She had participants stand up front with their calculators & their randomly generated fraction and rearrange themselves in numerical order – not so easy when the fractions are 516/896 and 37/52 for example. Seemingly simple activity, using technology to quickly generate numbers and have really rich discussions that help make mathematical connections. And it came down to the questions asked – engaging, in-context, and appropriate for many grade levels. 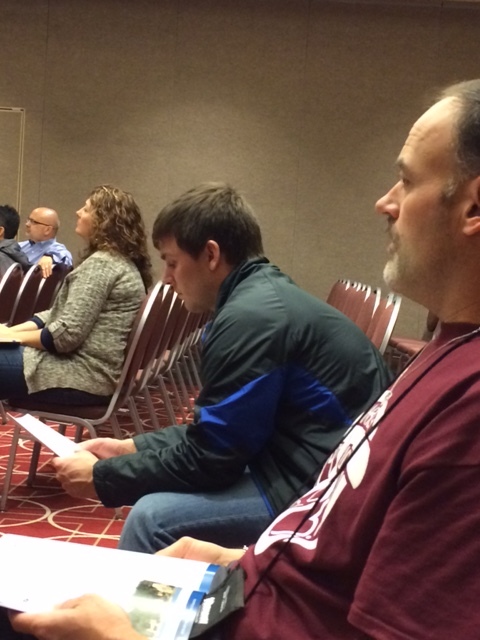 Both sessions confirmed for me something I have always believed – the questioning is the easiest way to get your students thinking, talking, applying and connecting math. Learn to ask questions and you can create an engaging learning environment that differentiates the learning and provides students with multiple pathways to make connections. 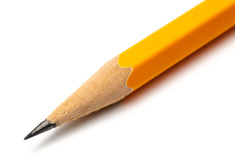 Tools includes any type of resource that a student can utilize, be it paper, pencil, computer or calculator, to help them explore and solve problems. In a mathematics classroom there should NEVER be only one option – there should be multiple options of tools that students may choose from, on their own, to determine which is the most appropriate for the task at hand. This then makes the debate about calculator vs. no calculator or paper-pencil vs. calculator vs. computer a mute point (at least if all those tools are options in a classroom). The key here, as stated in the standard , is that students are familiar with all tools that would be appropriate for a problem-solving situation, and are given the opportunity to make the choices themselves and are able to JUSTIFY why that tool was the most strategic choice. I was a ‘traveling’ teacher for a long time, meaning I did not have my own classroom, but traveled, like the students, to each of my next classes. This forced me to be incredibly organized and to have all my materials with me on a rolling cart. I had a ‘basket of tools” as I called it -fully of calculators, pencils, rulers, graph paper, measuring tapes, compass, protractors, paper clips etc. Whatever might be needed in the classes I taught (Algebra & Geometry).This basket was always available, and students could get up and retrieve what they needed, or thought they needed, to support their learning. I did a lot of collaborative learning, so let’s say we were collecting data in class – i.e. measuring body-part lengths for example – and then comparing ratios (Golden Ratio perhaps?) to see if there were any patterns. Some groups started with recording everything on paper-pencil. Some went right to the calculator and the table. Others measured with rulers, realized a measuring tape was more appropriate and switched. When doing the ratios, most reverted to the calculator vs. in their head or paper/pencil because they could quickly get the ratios and begin comparing and looking for patterns. There were lots of options, and each group chose their own approach and used the tools that to them helped them get to the real thinking and application of the problem. 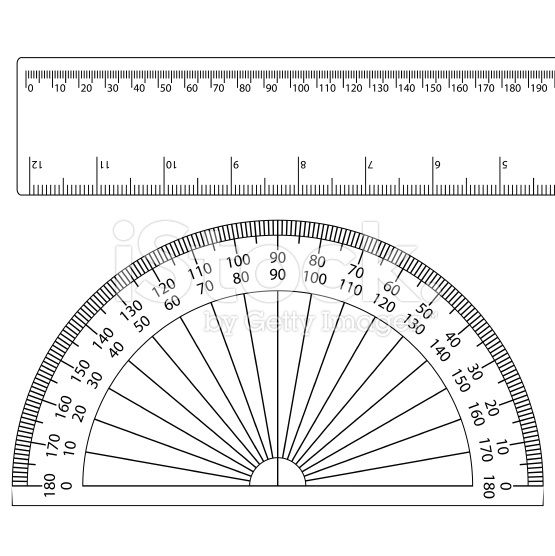 If I had only provided what I might have considered the most appropriate tools, measuring tape & calculators, I would have missed the students who started with the rulers and said – wait, this is not going to work because we need something that can bend since our arms are not straight. Or those who said – wait, we can use the table in the calculator to do a quick calculation of the ratio and then see if we can see the pattern. Or those who said lets record it all on paper so we can compare all of us together easier. These were seemingly innocent, obvious comments but demonstrate students thinking about the task, analyzing, collaborating and choosing the most appropriate tools and strategies for them. And THAT is what helps students make sense of learning and understand mathematics. The question shouldn’t be calculator or no calculator, it should be what tool is going to be the best for to find a solution? Sometimes it might be a calculator. Sometimes it might be mental math. Sometimes it might be a quick drawing with paper & pencil. Students need to always be given the opportunity to choose the most appropriate tool that helps THEM persevere and solve a problem.